Hacienda Heights, 20 miles east of Los Angeles, is in many ways an insular community of 54,000 people, made up of large numbers of white, Latino and Asian residents. It’s walled off on two sides by hillsides dotted with large homes that offer stunning views. In the center are rows and rows of neatly kept 1960s-era tract homes. 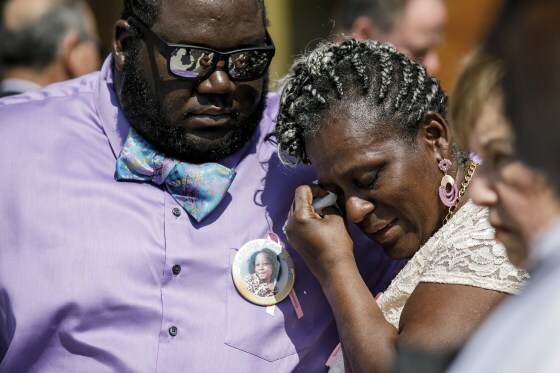 Soon after the service began at noon on a warm, sun-splashed day on the church’s outdoor plaza, six pallbearers, including Trinity’s father, emerged dressed in matching white suits with pink vests to usher her tiny coffin inside. 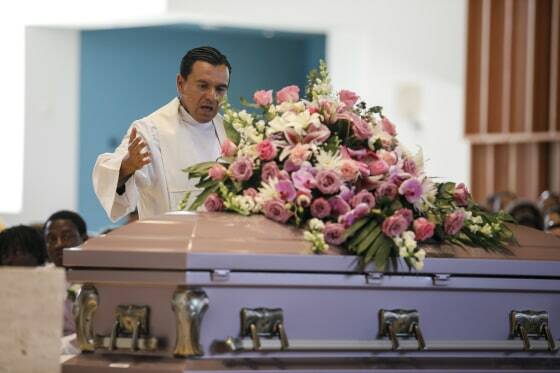 At the altar was a pink teddy bear and balloon. Behind it was a 9-foot-tall photo of Trinity smiling shyly and dressed in a leopard-print outfit. 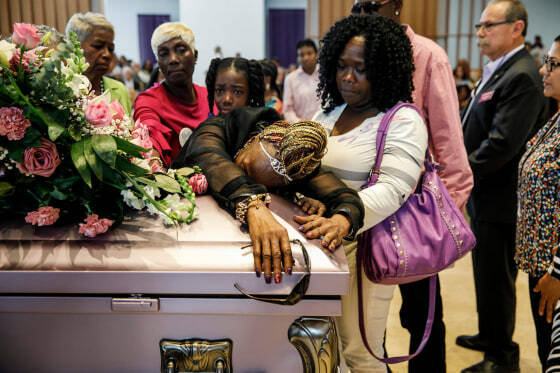 “I’m here to ask myself, ‘When do we change the channel of this alarming episode of young black girls dying? '” he shouted, an exhortation that brought the largely white audience to its feet.